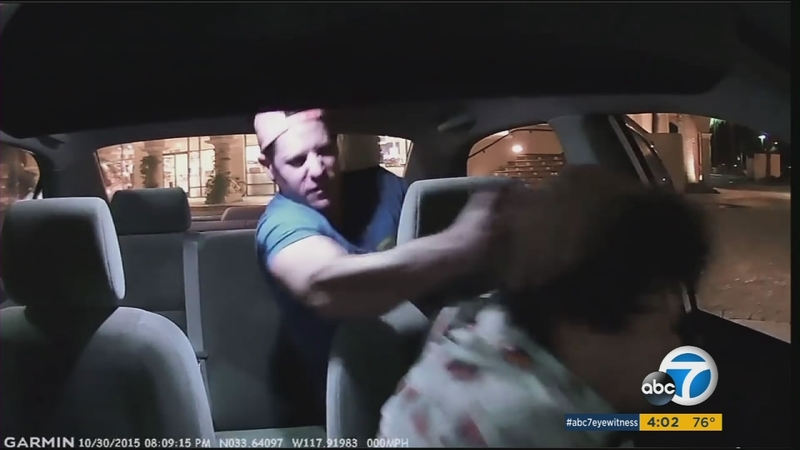 A vicious attack on Uber driver Edward Caban was caught on camera Friday, Oct. 30, 2015. Benjamin Golden of Newport Beach was charged in the attack, Costa Mesa police said. COSTA MESA, Calif. -- A suspect accused in the vicious attack of an Uber driver caught on camera has issued a statement on Wednesday. Benjamin Golden, 32 of Newport Beach, was arrested on Friday in Costa Mesa after police said he attacked Edward Caban.